I met Faye Kirwin, also known as the lovely Skye Fairwin, toward the end of last year on Twitter (which, let’s be honest, is where I meet most of my writer friends). Faye is the founder of Writerology.net, a beautiful website for writers that merges the art of storytelling with the mysteries of psychology. If you want to be a part of Faye’s Write Chain Challenge, all you have to do is set a daily writing goal (e.g. write 1,000 words, write for two hours, etc.) and report your progress to @WriteChain on Twitter every week. For every day that you meet your writing goal, you get one new “link” for your chain. But if you go even one day without fulfilling your goal, your chain breaks and you have to start over. The idea is to create as long of a “write chain” as you can. The Write Chain Challenge is the writing event that I most recently joined, and I’m enjoying it so far. The great thing about Writerology is that it also provides an “Accountabuddy Exchange” service, which matches you up with another writer with whom you “check in” on each other’s progress either daily or weekly. I just met my Accountabuddy today, and I can say from firsthand experience that it’s really tough not to stick with your writing goal when you’ve got another person waiting for your daily check-in (especially after you receive successful confirmation from the other side!). In case you were wondering, my Write Chain goal is to write 350 words every day (either on my blog or for personal writing projects). Wish me luck! Few writers are unfamiliar with the famous “Blogging from A to Z April Challenge,” which has grown every single year since it was conceived in 2010. Truthfully, I’m somewhat terrified of the A to Z Challenge, mainly because of the rules: You’re supposed to blog every day, six days a week (excluding Sundays) for the entire month of April with every post corresponding to a letter of the alphabet. That means on April 1, you’d write a post with a theme that starts with the letter “A.” On April 2, the theme of your post should start with “B.” And so on. My initial reaction to the A to Z Challenge when I first heard about it was, Holy crap. That’s a lot of blogging. Seriously; it’s like NaNoWriMo for bloggers (National Blog-Writing Month? NaBloWriMo?). This really is a blog challenge, and I’m going to do it for the first time this year. On one hand, a part of me doesn’t believe I can do it – that I can blog for 26 days in April. The other part of me asks, what if I do, though? I’ll be pretty damn proud if I can pull it off. And I’m going to try. Of course, you meet loads of writers throughout the month of April while you’re doing the A to Z Challenge. But it’s much more than just a networking and self-promo event. It’s a chance for you to stick with a crazy resolution and be able to say, after it’s all said and done, that you did it. You blogged nearly every day for a whole month. Alex J. Cavanaugh is renowned for founding the Insecure Writer’s Support Group, a well-structured online blogging community that’s exactly as it sounds. 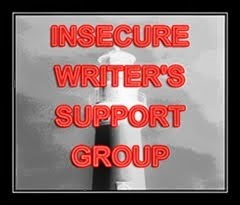 This is where writers can congregate on the IWSG Facebook group and provide mutual support and encouragement for one another. Anyone can join IWSG. What I love about IWSG is that they have a weekly schedule of “events” on their Facebook group, including “Motivational Monday,” “Wow It’s Wednesday” (check-ins) and “News & Promo Friday.” On the first Wednesday of every month, IWSG members are required to write an IWSG-related post on their blogs with writing updates and any insecurities they may have about being a writer. I’ve heard good things about IWSG for years now, and I’m so excited to finally be a part of it. This might be the first writing community I ever joined, excluding past blogfests. During the summer of 2014, I randomly met Sara Whitford, a historical fiction novelist and #WritingChallenge host, on Twitter via the #amwriting hashtag. I discovered shortly thereafter that Sara is the cousin of my good friend from college, Jimmy! What a small world indeed. Sara introduced me to #WritingChallenge, a Twitter community of writers founded by Kristy Acevedo. Participants are challenged to write 500 words for their WiP every day and then check in with the rest of the community using that month’s custom hashtag (e.g. #FebWritingChallenge). Every month, #WritingChallenge is hosted by a different “leader” who provides daily writing prompts, word sprints and constant motivation for participants. It’s a great challenge to be a part of, and helped me write almost 6k for my own WiP. Last but far from being the least, there’s #1000Speak. I only just discovered this online initiative a week or so ago on Sara Letourneau’s blog. I knew knew I just had to sign up. The goal of the initiative is to inspire at least 1,000 bloggers from around the world to write on the topic of compassion on Friday, Feb. 20 – to stand in solidarity with one another and spread kindness through our online voices. In light of recent events in my college town, I will be writing about the Chapel Hill shootings and how that has affected me as a fighter for social justice, global compassion and equality. I would love for you to join us in this blogging initiative to share your story of compassion, whatever it may be. Are you a part of any online writing communities, annual blog events or literary groups? Let me know if you have any recommendations! I tend not to do a lot of writing challenges or initiatives just because it means time away from other writing projects I’ve committed to – not just for me, but for others. While I’d like to join in because it means meeting more writers, I have to be selective, or else I end up with too much on my plate. But if a writer DOES have time for it, then there’s absolutely nothing wrong with it. I’d been meaning to visit Writerology ever since Faye’s guest article here. The premise for it sounds so interesting. So, you just reminded me that I need to visit and comb through it. I love the idea behind the #WritingChallenge. Quite a few Write Chain challengers take part in it too and get so much done. A fantastic source of motivation and community! I couldn’t quite muster the courage to do the A to Z Challenge last April, but I’m seriously considering it this year. Actually, I’ve been playing with the idea of writing an A to Z of psychology-based prompts for a while now. I just need to decide how frequently to post them—at the insane pace of the A to Z Challenge or a more sedate weekly or monthly pace. Ah, choices, choices. Thank you for recommending these initiatives, Wendy! There are a few I didn’t know about before that I definitely want to check out. One thing’s for certain: this is going to be a great year for writing.